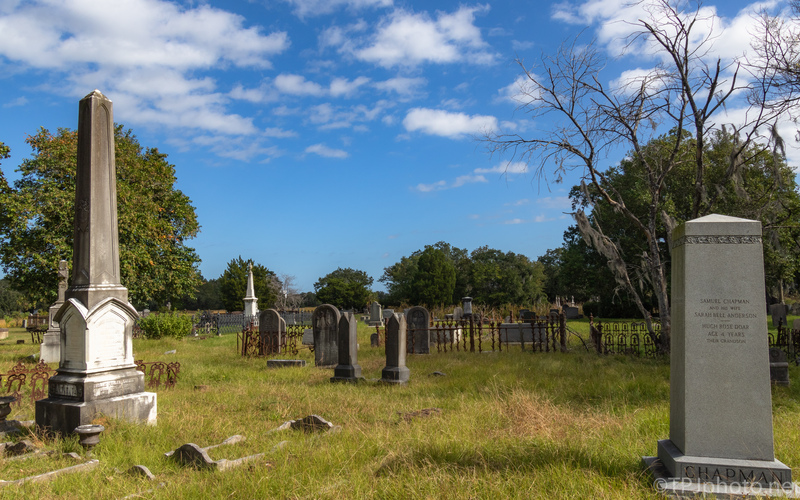 Most of this old cemetery is under large live oaks, covered in moss. But on the edges, near a newer cemetery, there is open space and we get the ‘Big Sky’ effect. Maybe it’s the Lowcountry ocean breezes, marsh country spaces, or some other phenomenon, but we have amazing blue skies and white clouds most days. Certainly adds to a photograph.